An adjustable rate mortgage (ARM) is a loan in which the interest rate changes periodically throughout the life of the loan. 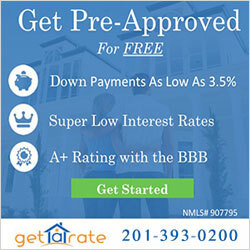 The initial interest rate on an ARM is typically lower than a comparable fixed rate loan. As such, an ARM may be a good option in the following scenarios: you only plan on owning your home for a few years; the interest rate on a fixed rate mortgage is too high and you expect rates to decline in the future; or, you expect an increase in future income. Initial interest rate period – Your initial interest rate will be held constant for a certain period of time after the origination of the mortgage. This period is referred to as the initial interest rate period. Subsequent to the initial interest rate period, the interest rate on the ARM will adjust based on the terms specified in your mortgage agreement. Index – The interest rate on an ARM adjusts up or down annually based on the change in an index. Typical indices for the FHA insured ARM include the Constant Maturity Treasury (CMT) index (weekly average yield of U.S. Treasury securities, adjusted to a constant maturity of one year) or the 1-year London Interbank Offered Rate (LIBOR). Margin – The new interest rate is based on the value of the index plus a margin, which will be denoted in the mortgage documents. The margin on an ARM varies from lender to lender, so it’s best to shop around for the lowest margin possible when looking for a loan. Interest rate cap structure – The cap structure of an ARM provides some protection against significant upward or downward swings in interest rates as it limits the adjusted rate to be within a certain band of the initial rate. The annual interest rate cap limits how high the interest rate can adjust to, whereas a floor limits how low it can go. Additionally, ARMs include a cap on the rate throughout the life of the loan which provides a minimum and maximum amount of interest payments made throughout the life of the mortgage. 1-year – May increase by one percentage point annually after the initial fixed interest rate period, and five percentage points over the life of the Mortgage. 5-year – May either allow for increases of one percentage point annually, and five percentage points over the life of the Mortgage; or increases of two percentage points annually, and six points over the life of the Mortgage. 7-year – May only increase by two percentage points annually after the initial fixed interest rate period, and six percentage points over the life of the Mortgage. 10-year – May only increase by two percentage points annually after the initial fixed interest rate period, and six percentage points over the life of the Mortgage.